Enjoy nuts in your oatmeal? Try blending it all together in a smoothie! When you make a smoothie every day you tend to get creative with it. I blend up oats in our smoothies at least once or twice a week. This helps to thicken the liquid and make your breakfast on the go more filling. Every now and then I also try to add in avocado. Mostly because the addition of avocado is always a yes, but also due to the fact that it makes for a very creamy smoothie! For this recipe you will need coconut milk plus the oats and half an avocado. For the fruit I chose mango and for the nut cashews. I added a sprinkle of spirulina because I am crazy for superfoods! This smoothie has a perfect consistency mixed with a tropical and nutty flavor. Plus, it’s green so you are getting all the right nutrients to start your day! 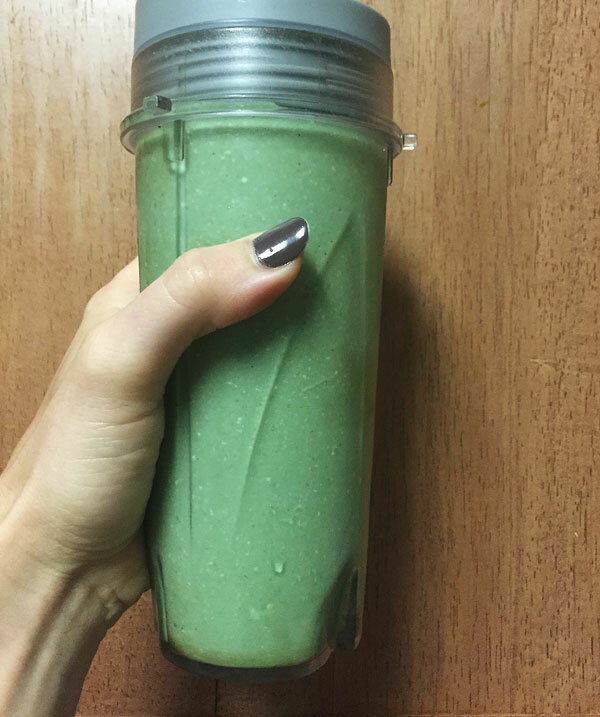 #Avocado and cashews come together perfectly in this creamy #smoothie! 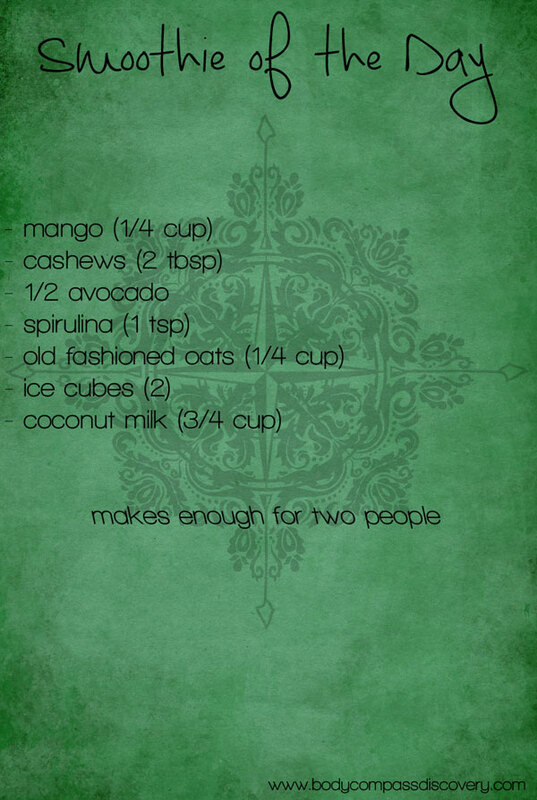 This cashew smoothie is perfectly balanced with healthy fats, greens, fruit, protein and fiber! You can try this peach carrot oatmeal smoothie and this beet mango avocado smoothie if you liked the addition of oats and avocado in your blend!